Downiton.mobi allows you to paste any file URL on a web form and push it to your Android device. No more manually typing URLs or emailing links to yourself — the future is here. It’s one of the nicest things about Google Play: you can install an app to your mobile device from the browser on your computer. Just explore the Google Play website on your computer, then pick which device you’d like to install it on. If your device is on, the download will begin immediately – if not, it will begin the next time you start it up. It’s a great feature, but does it work for files? No. Happily there’s an app that does – Downiton.mobi. Lets say you’re browsing our collection of free ebooks. You find one you like, and want to send it to your Android phone to read later. You could download the file, plug in your phone, then drag the book to your device’s drive – it works fine. But what if you left your phone at home? Or are too lazy to get it out of your pocket? You can send as many files as you like, they’ll queue in an orderly fashion. It’s simple, but surprisingly useful: the file ends up on the device where you want it, right away. So this seems slick, but is it hard to set up? Not at all. To get started head to DownItOn.mobi on your computer. Sign up for an account, then install the free app to your device. If your device is there, the app is up and working. Start sending links! If not, you’ve got a problem. Personally, I couldn’t get this service to work while using my device’s second account, so take note of that. The “Mobile Data” button is probably a good one to push if your data plan isn’t unlimited – downloads will be put off until you’re connected to WiFi if it’s clicked. The best alternative is PushBullet, which can push files and more from your desktop PushBullet for Android: Push Files & More To Your Android Phone From Your Browser PushBullet for Android: Push Files & More To Your Android Phone From Your Browser Read More . It does everything DownItOn.mobi does and a lot more, so check it out if you’re up for something a touch more complex. But you might be curious as to why either apps even exists. After all, why not simply use Dropbox for Android? Well that service doesn’t actually sync files to your device – it just lets you get at them if you want. And while there are third party Dropbox apps for Android Better Than The Default: 5 Fantastic Dropbox Apps [Android] Better Than The Default: 5 Fantastic Dropbox Apps [Android] I'm a huge fan of Dropbox. I have been using it extensively for team collaborations, to transfer files between platforms, and for backup purposes. Dropbox' key to success is its ease of use, which is... Read More , maybe you don’t want every file from your Dropbox folder showing up on your mobile device – space is limited, after all. DownItOn.Mobi lets you quickly send an individual file to your device, then forget about it until you need it. 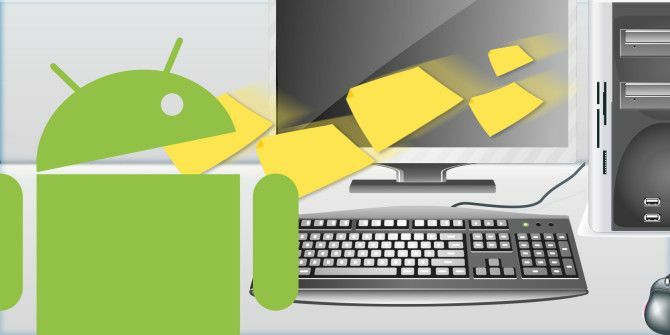 It’s also possible to send files to your Android device with AirDroid AirDroid - Send SMS, Share Links, Transfer Files & More [Android 2.1+] AirDroid - Send SMS, Share Links, Transfer Files & More [Android 2.1+] In the past, we have reviewed many apps that could make your Android phone even more spectacular. We do, in fact, have a great list of the best 100 Android apps we have encountered up... Read More , and that app does a whole lot more. Doing so requires first downloading the file on your computer, however, and the application is overkill if all you want to do is quickly start a download on your device. There must be other alternatives I’m missing, so let me know about them below, okay? I’m looking forward to reading about them. The article is about DownItOn.Mobi but you say yourself that PushBullet does everything and a lot more. So why not review PushBullet to begin with? I could not live without PushBullet. I have it on 2 browsers and 2 Android devices. My whatzup data deleted .it's not recovered on Google .plz guide me to recover after my phone format.six month data may be recovered .plz reply. It's important n argent. Does it work on rooted Nook simple touch?